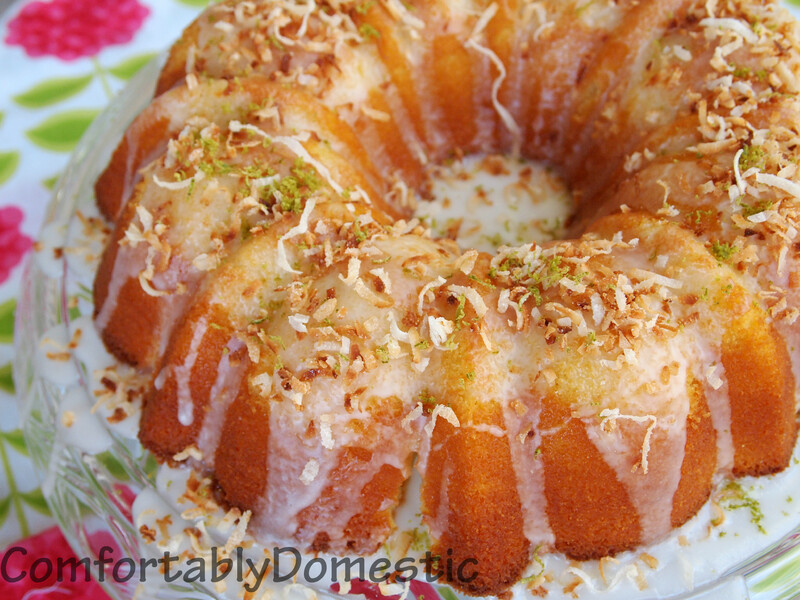 Coconut bundt cake with key lime glaze is the perfect dessert to welcome in the summer! Hello there, Friends! I couldn’t hold out any longer! I have to post the coconut bundt cake recipe that I shared over at my friend Carrie’s place last week. I’m really excited about how well the cake turned out. It’s so sunny and tropical that I found myself doing a little reggae dance in the kitchen after I took the first bite. True story. 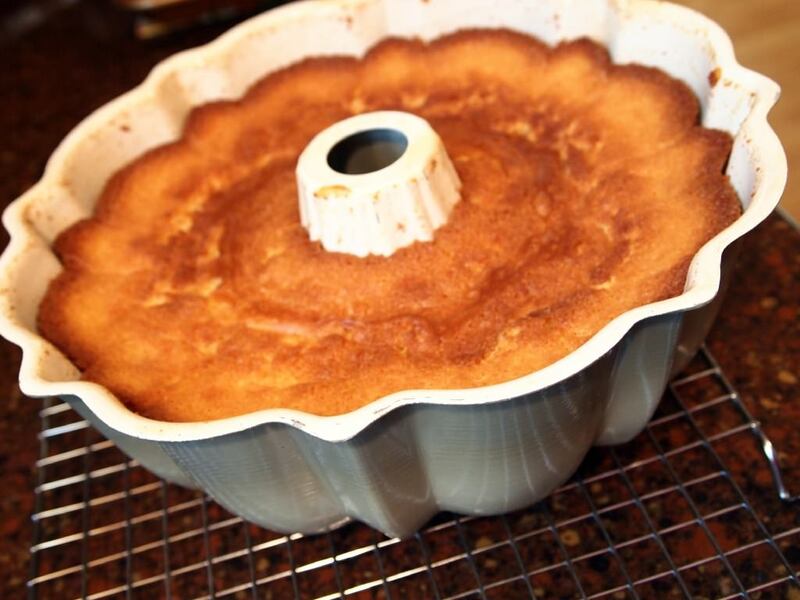 The development process to make coconut bundt cake is simple. It came about after Twittering with Jeanne about her current coconut obsession. Since I’ve been on a citrus kick, and coconut and lime are totally BFFs, the two flavors naturally came together as one in this Bundt cake. Sounds exotic, I know, but it’s really just an adaptation of my (Starbucks-knock-off) Iced Lemon Pound Cake. Coconut Bundt Cake with Key Lime Glaze, fresh out of the oven! A cake so snappy that you’ll want to kick up your heels and start a Conga-line right there in the kitchen. Believe me when I tell you that everyone needs a piece of cake that makes you break into a random dance! 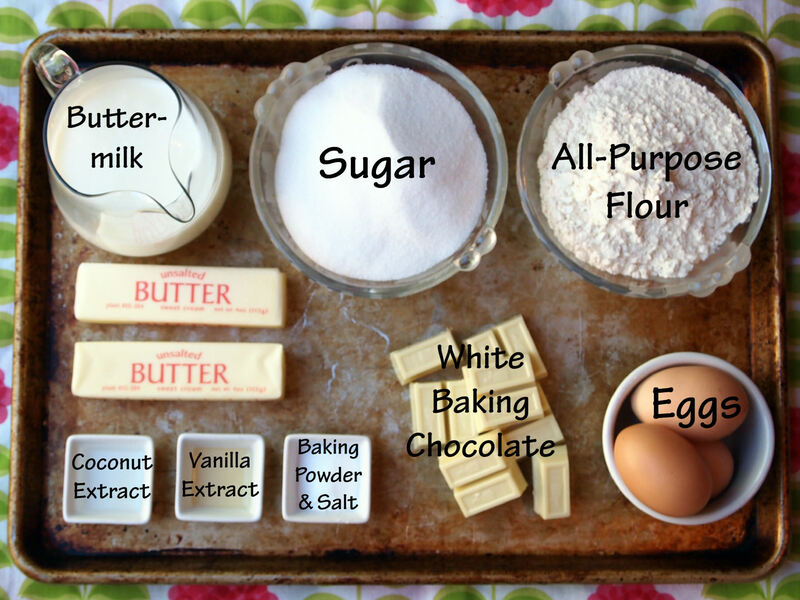 buttermilk, granulated sugar, all-purpose flour, eggs, white baking chocolate (not morsels or chips,) baking powder, salt, vanilla extract, coconut extract, and unsalted butter. First, unwrap the white chocolate squares and place them in a microwave safe bowl. Heat on full power in 30 second increments, stirring between each, until the chocolate is melted and smooth. Let the melted white chocolate cool a bit while assembling the rest of the batter. Mix in the eggs, one at a time, until blended. Adding the eggs one at a time helps to better incorporate them into the batter and get the protein binders bonding together more efficiently; besides if you add the eggs all at once, you’ll end up with egg slopping out of the sides of the mixing bowl. Not only is that a huge mess, but the eggs won’t be able to do their thing as well as they are able to when they’re added individually. After the eggs are incorporated, pour the vanilla and coconut extracts into the work bowl. A touch of vanilla smooths out the overall flavor, which in turn gives the coconut room to pack a punch. 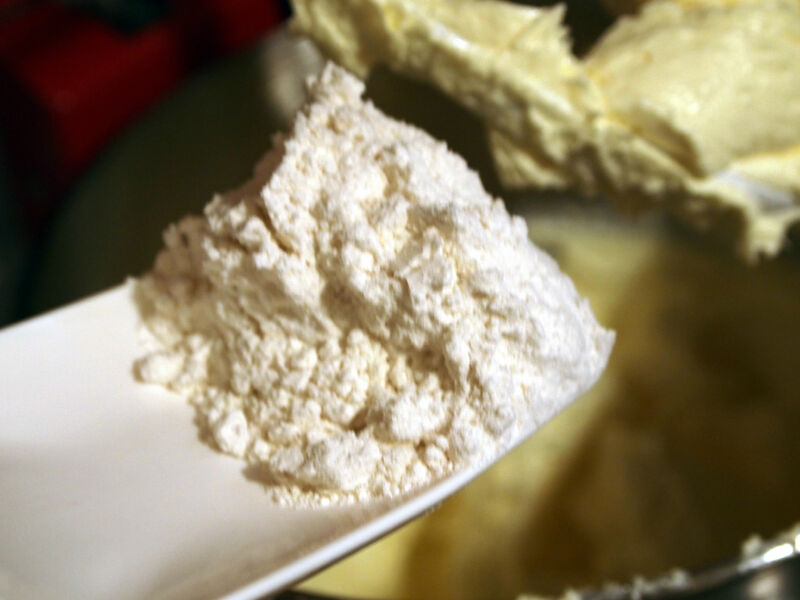 Alternately add 1/3 of the flour and then 1/3 of the buttermilk, mixing well between each addition. Continue this until all of the flour and buttermilk is worked into the batter. Then pour in the (mostly) cooled melted white chocolate. Mix the white chocolate into the batter on low speed until it is evenly distributed. White chocolate may seem like an odd addition to a coconut bundt cake, but it really adds a depth of richness to the whole affair. Pour the batter into the prepared Bundt pan and bake at 350° F for 50 to 55 minutes, or until a toothpick inserted in the centers comes out clean. Remove the cake from the oven and set it onto a wire rack. Once you take the cake out of the oven and set it onto a wire rack, let it cool completely in the Bundt pan before attempting to remove it. I’m talking a cool to the touch pan. Not slightly warm. Not almost cool but still kind of tepid. Cool. Like you could pick-it-up-and-hold-it-in-your-bare-hands-all-day-long kind of cool. When in doubt? Let it sit for a while longer. Seriously. I know it sounds weird because every cake recipe since the Dawn of Baking Time tells you to cool a cake for 10 minutes in the pan, and then turn the cake onto the rack to cool completely. I know! While the coconut bundt cake is cooling, prepare the topping with sweetened coconut, powdered sugar, and fresh lime juice. Zest and juice the lime. Set the zest aside, and use the juice for the glaze. 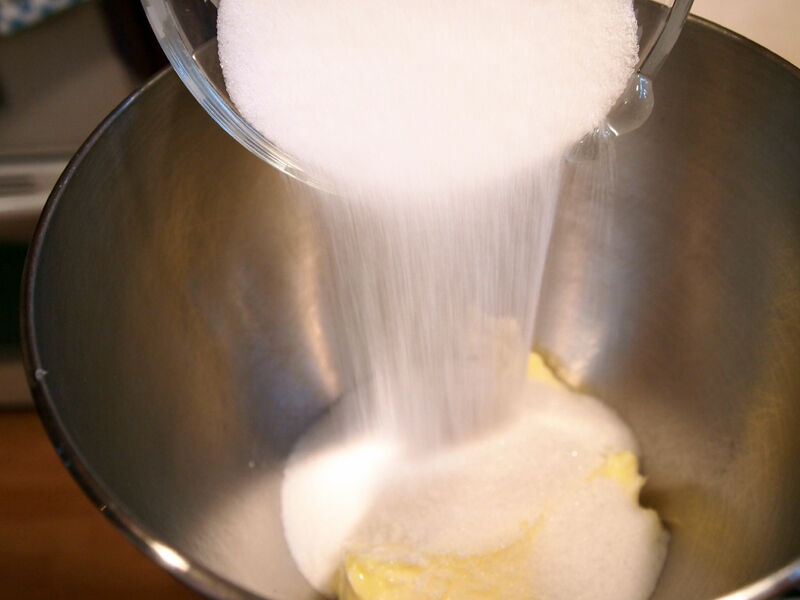 Stir a couple of tablespoons of the fresh lime juice into the powdered sugar with a fork, until the icing is smooth. For this application, I like my glaze on the thinner side so that it runs down the sides of the cake. If you like your glaze a bit thicker, just add a little less lime juice. 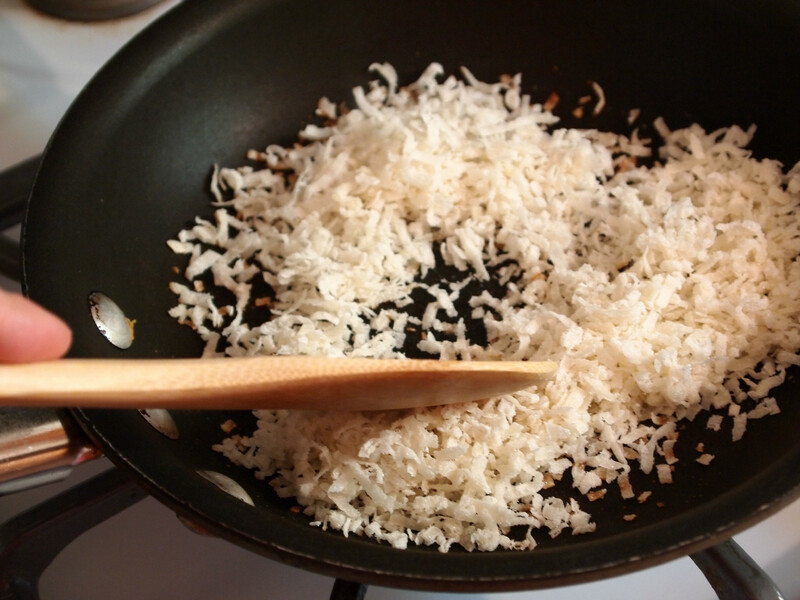 Toss the coconut into a small skillet set over medium heat, stirring continuously until it nicely toasted. Once the coconut is toasted, immediately turn it onto a plate to cool. Once the coconut bundt cake is completely cool, carefully invert it onto a serving plate and spoon the glaze over top. Is it just me, or do you get excited when you see glaze so luscious that it dribbles off the sides of the serving plate? I don’t care who you are–that’s some seriously good stuff right there. 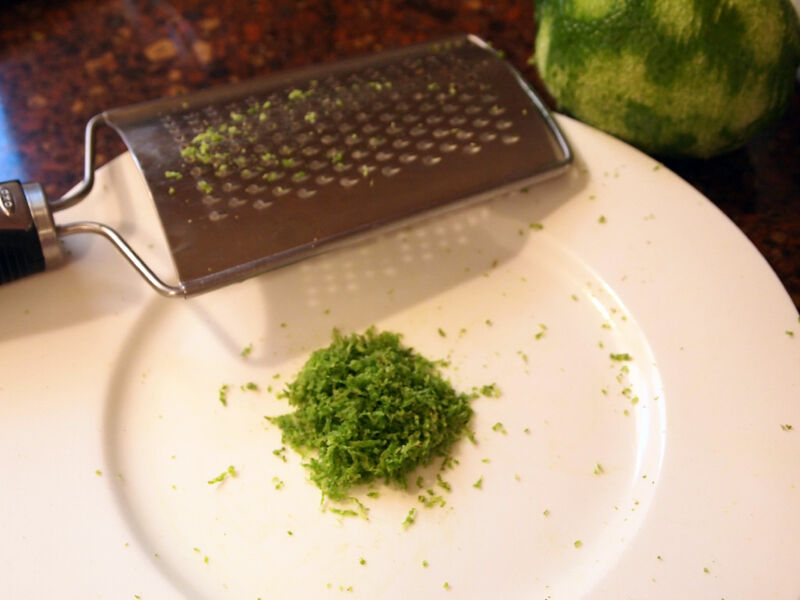 Sprinkle on the lime zest and toasted coconut immediately so that it has a chance to stick to the glaze before it sets. Once set, slice the cake and be prepared to be transported to the tropical bliss that is the Coconut Bundt Cake with Key Lime Glaze. Coconut bundt cake with key lime glaze is the perfect dessert to welcome in summer! Preheat the oven to 350 degrees F. Grease and flour one 10-inch Bundt pan very well. 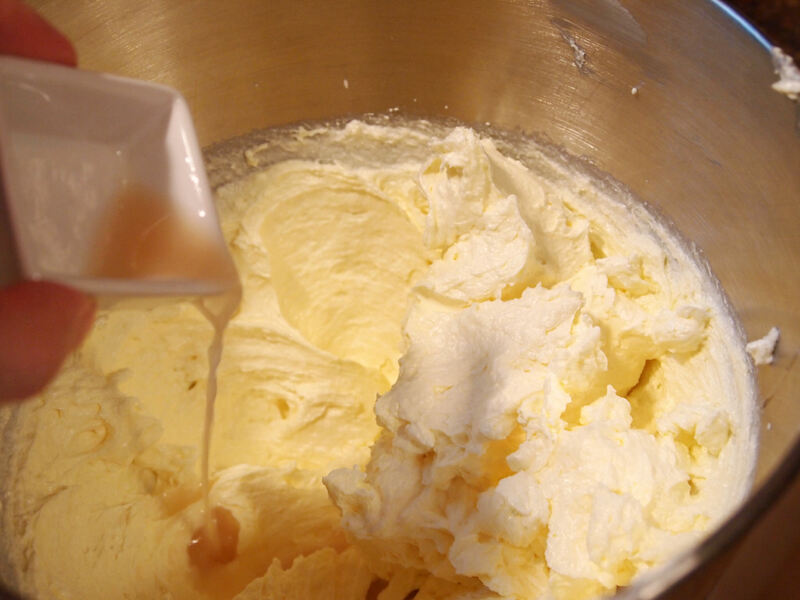 Cream the butter together with sugar in a large bowl until light and fluffy. 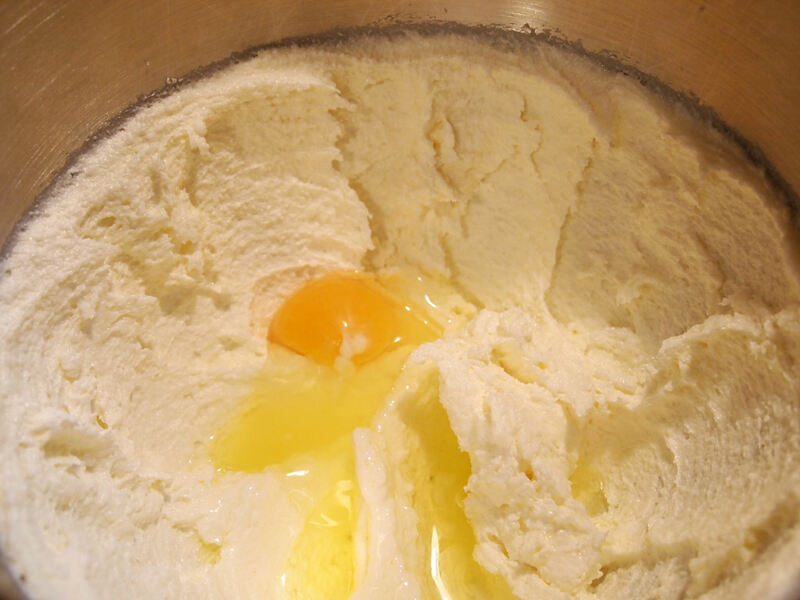 Stir the eggs into the creamed mixture, one at a time, until combined. Stir in the vanilla and coconut extracts to incorporate. 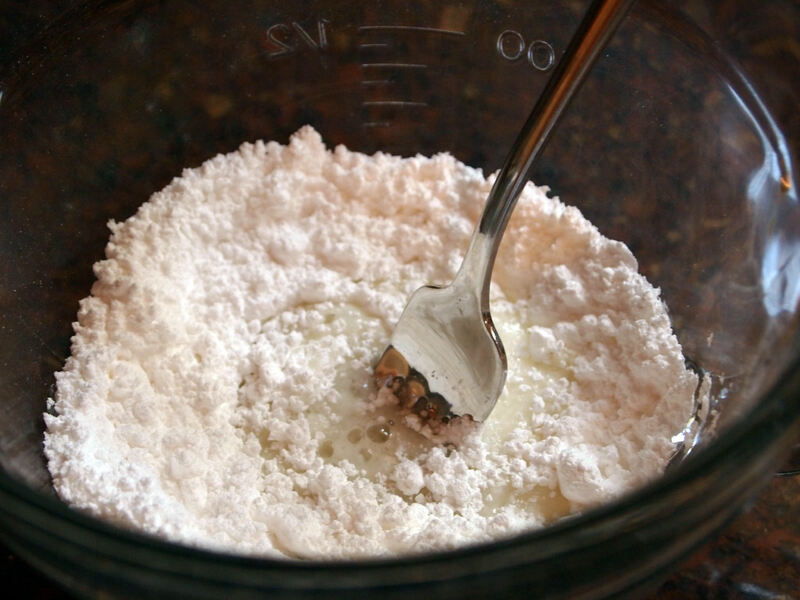 Gradually mix in the flour mixture into the creamed mixture, alternating with the buttermilk, in 3 separate additions of each, beating well after each addition. 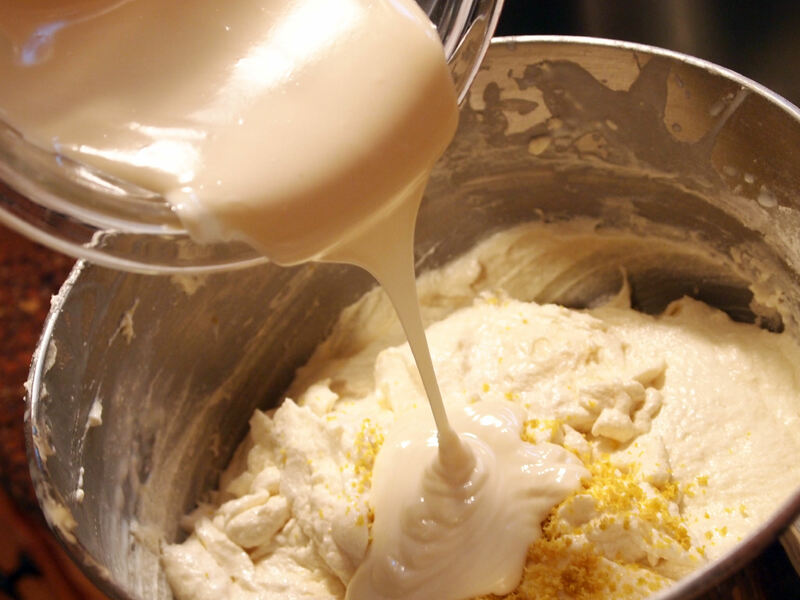 Stir the melted white chocolate into the batter until thoroughly combined. 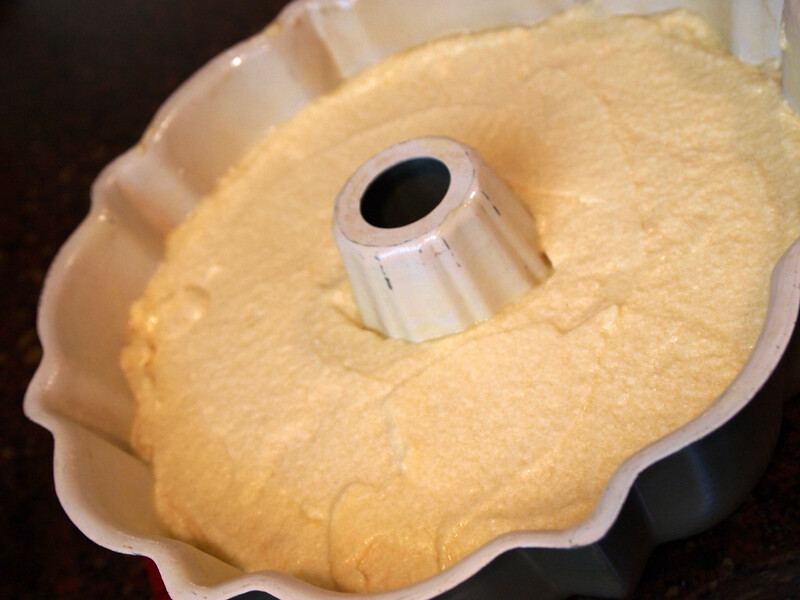 Pour the batter into the prepared Bundt pans. Bake for 50 minutes, or until a toothpick inserted into the center of the cake comes out clean. Cool cake completely in the pan. Once cool, gently run a knife around the edges before inverting onto a serving plate. 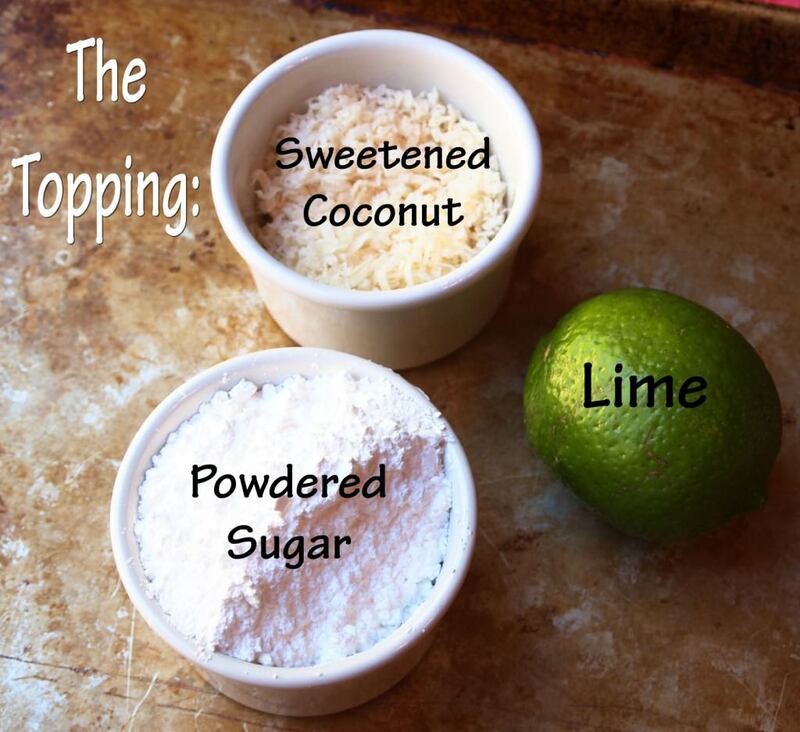 Once cake is cool, prepare the icing by stirring the lime juice into the powdered sugar with a fork until smooth. 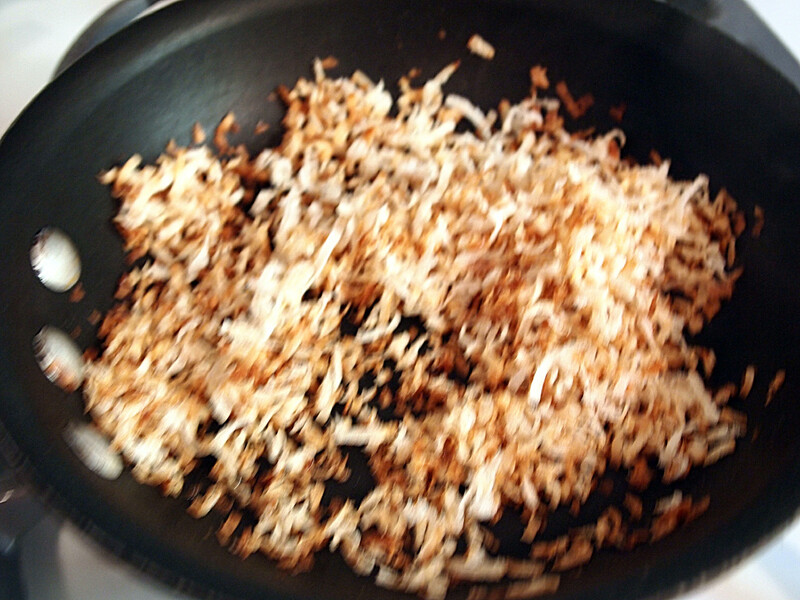 Lightly toast the coconut in a small skillet over medium heat until golden brown; stirring frequently. Remove from heat and allow to cool. 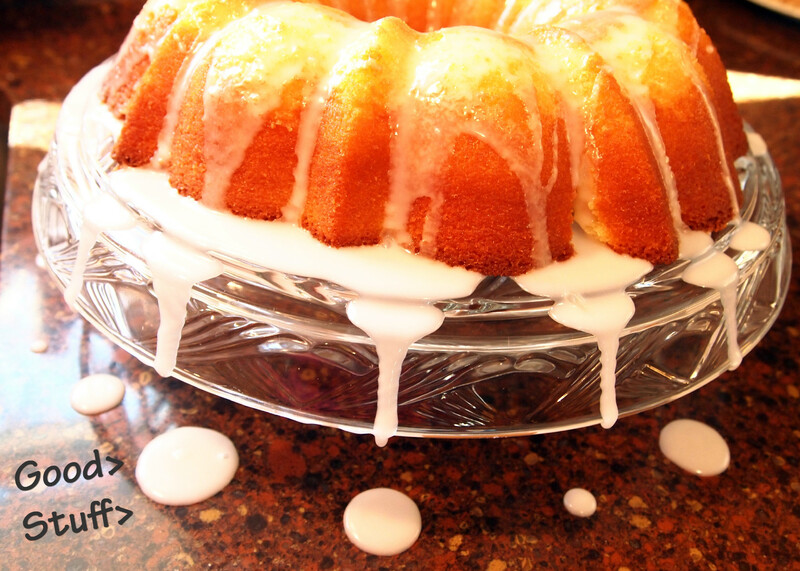 Pour icing over the top of the cake, spreading with a knife until the icing drizzles over the sides. Sprinkle the icing with the toasted coconut and lime zest before it sets. Leftover cake should be stored tightly wrapped at room temperature for up to 3 days. TOASTED COCONUT?! Sorry. I didn't mean to shout but I tend to get all shouty when coconut gets toasted. Your cake looks divine with the glaze and then the coconut and lime zest stuck all over. This is inspired! And I have a Calypso station on Pandora that would be perfect for the baking of this Bundt. Yum. 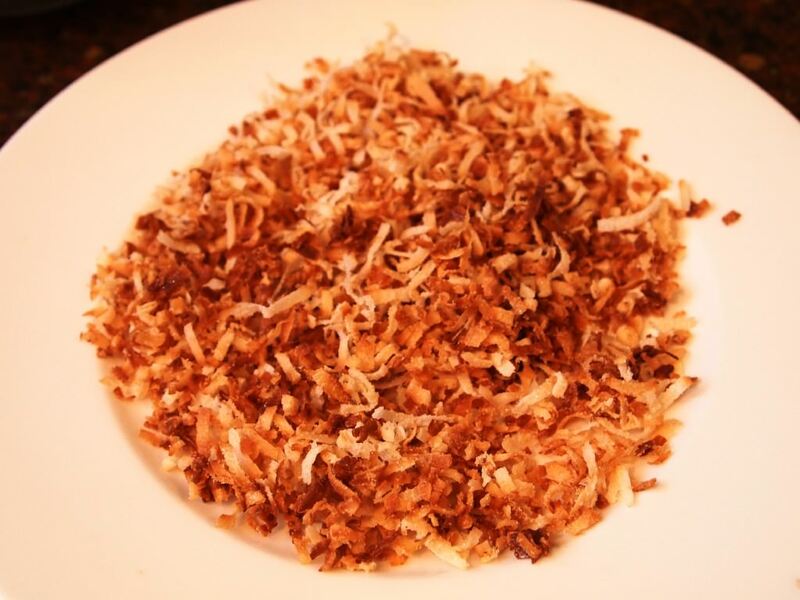 Toasted coconut makes me happy, and so does Calypso music. Sounds like you have all the proper tools required to bake this Bundt! Very pretty cake! And I must check out the link to your Starbucks iced cake, my son orders that all of the time! I am going to take your advice on letting my next Bundt cool completely before turning it over. My trouble is that I want to see how it turned out plus I hate not to follow the 10 minute direction. Next time I'll give your method a go! I made the cake. It came out good. I used the paddle attachment on the Kitchen Aid to mix, so I think I over beat it and the texture was a bit "cake mix" like because of it. But it is fine, I would hand mix next time, though. I think I would mix coconut in the batter next time,too. The icing is delicious and more could be used, in my opinion, because the cake doesn't compete. I used key lime juice from a bottle, Very nice cake, definitely not overly coconutty for those who aren't fans. Hooray! I'm glad to hear that you liked the cake. I also mix with a paddle attachment, but only until the batter is just combined, so I end up with a dense, pound cake consistency. 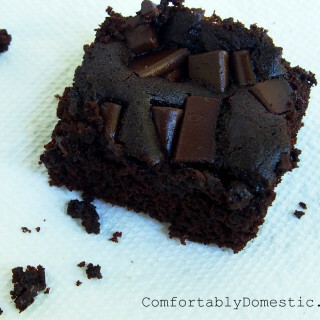 You could definitely add more icing and still have distinct flavors. Have fun with it! I love coconut. Unfortunately, the rest of the family aren't fans of it. Key lime, that's another story. They might just be able to overlook the coconut. In any event, I will be in bliss - so what do I care? Don't worry - be happy! 1. I would love to see the dance that goes with this particular cake. 2. When I bundt this, I will be sure to have an appropriate Jamaican-themed cocktail on hand as well. It's never too early to start thinking about pairings. 3. Thoughts on dumping a bit of rum into this? Looks gorgeous. Not burning the coconut, however, sounds like it might be beyond my capabliities. :) Just sayin'. :) Yours, however, look gorgeous. I love, love, love lime, and this recipe might be just great enough to help me overcome that fear of bundt pans. I think I'd be doing a little dance too if this was sitting on my kitchen counter. Looks delicious! I know you're trying to bring back the bundt, which is totally awesome, but how would you convert this one for regular cake pans? 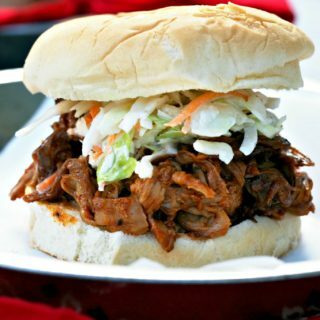 Looks DELICIOUS!!! I'm considering trying to adapt to a cupcake........what do you think?